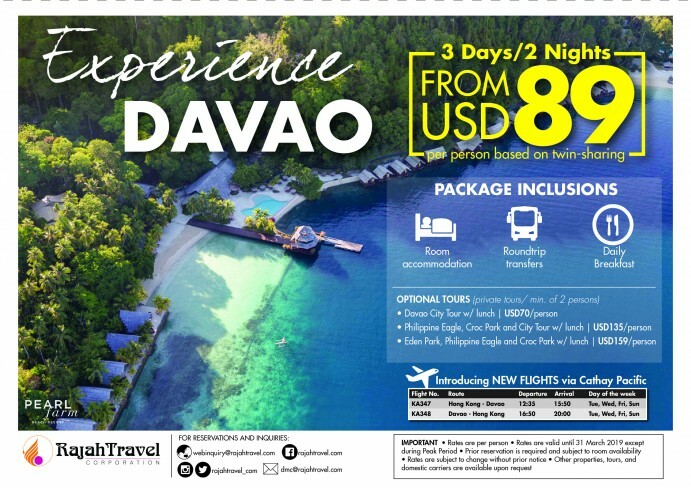 Experience Davao and see why its noted as the crown jewel of Mindanao. After breakfast, opt for numerous activities that can be found on the island. You can choose between, culture, nature and adventure or even pampering activities.